Okay, this is a honest long overdue review. I've already eaten in Yabu twice last month. This was recommended by my friend Daryll. The first time we went there was January 3 and the mall just opened so there wasn't people in the restaurant. 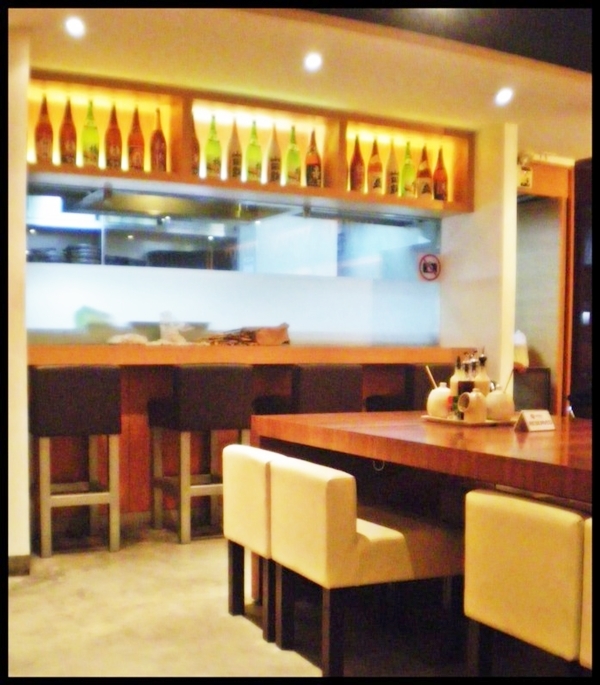 It's my first time to eat Japanese food outside the fastfood ones like Tokyo Tokyo, Teriyaki Boy and Karate Kid. We decided to seat around the back, beside the mirrored wall. There's a long communal table on our right. The waiter was very nice to answer our questions about the food. Condiments on our table. 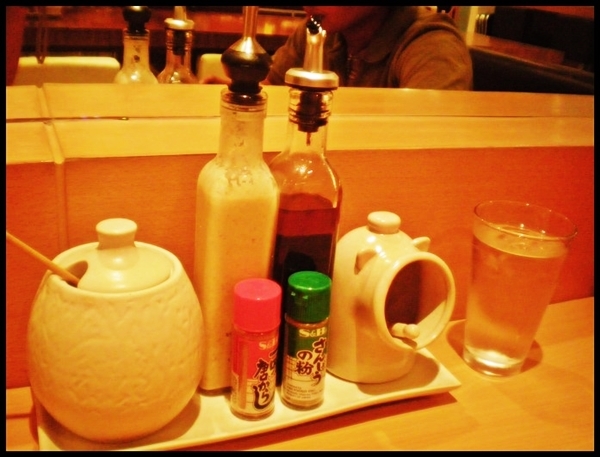 The jar on the right is the tonkatsu sauce, the white tall bottle we use for the cabbage. I ordered Chicken Katsu Set (Php 260), he ordered the Rosu Katsu Set (Php 265) and 2 A La Carte Scallops (Php 100 each). Time to dissect my set one by one. 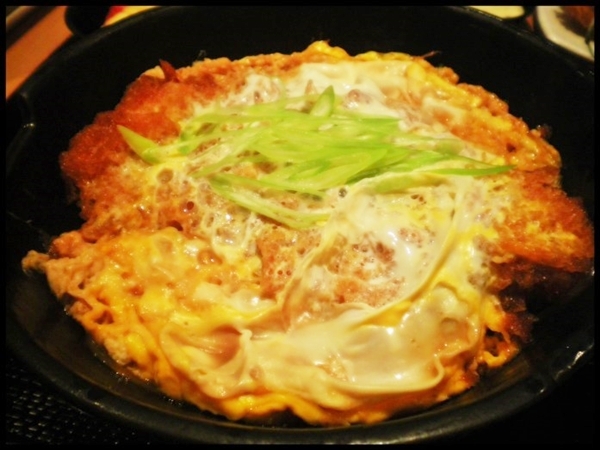 First, the Chicken Katsu has two egg omelets, special sweet sauce and the katsu on top of hot Japanese rice. The chicken was very much juicy, even if you don't put tonkatsu sauce. I didn't find the need to add more sauce with the dish as it is more than enough. The set comes with miso soup but it was only single serving. 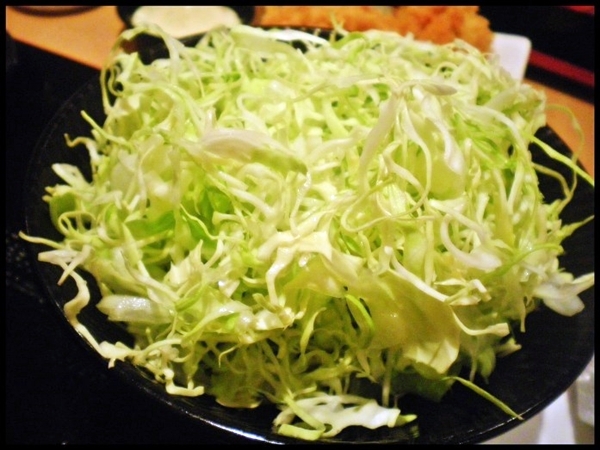 There's also an unlimited bowl of cabbage, which I recommend you eat with the sesame seed dressing. Lastly, a small serving of Japanese pickles does a great job when you want to cleanse your palate before trying other food items. 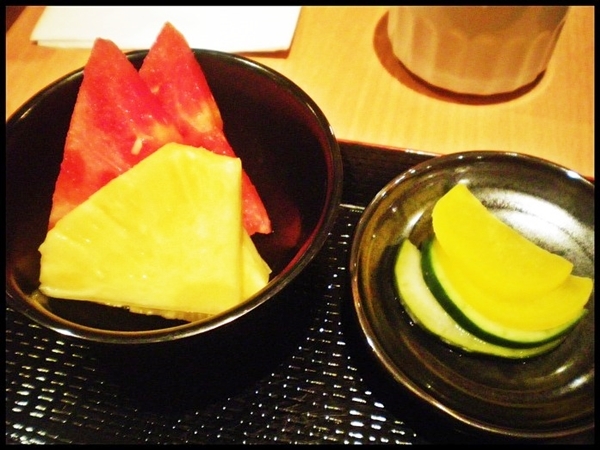 There's also some slices of pineapple and watermelon for dessert. Before February came, after much insisting, we went back to eat again. This time, we tried the Chicken Curry Katsu Set (Php 295). Basically the same as the last one but instead of two-egg omelet and special sweet sauce, you get katsu with curry on top of the Japanese rice. You can choose the degree of spiciness. We asked for iced tea rather than hot tea this time around. Also we tried the minced sesame seed + tonkatsu sauce as dip for the tonkatsu, as recommended on the menu. I like it better than just the tonkatsu sauce itself. Note that the prices are exclusive of service charge and tax. 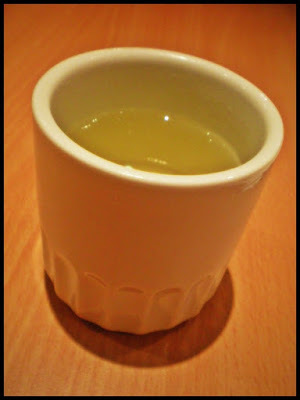 Yabu is really one of my favorite new restaurant's in the metro. Makes eating fried pork so less sinful with all the unlimited cabbage. I love Yabu..I took advantage of the unlimited cabbage way too much..They have good service as well..
i haven't been to Yabu... I should include this in my list of Japanese restaurant to visit. not a Japanese cuisine fan but the food looks really tasty. You have just given me an idea on which place to go to on my family's next craving for Japanese food. Sarap no? Super soft pero crunchy. Another Japanese food hang out. 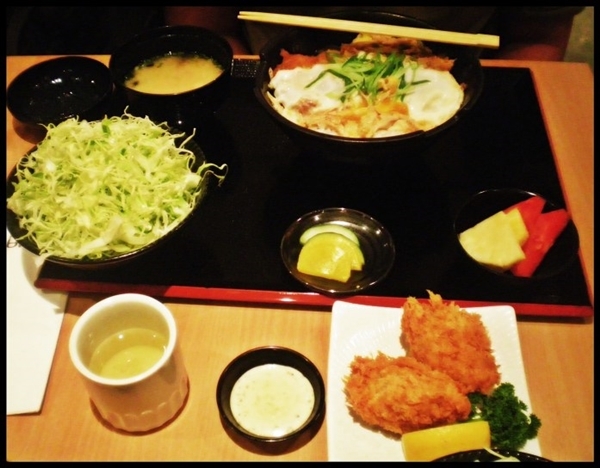 A must try Japanese dishes. I envy you about your dining experience. My family was kinda reluctant to try this resto last month as their offerings are expensive. 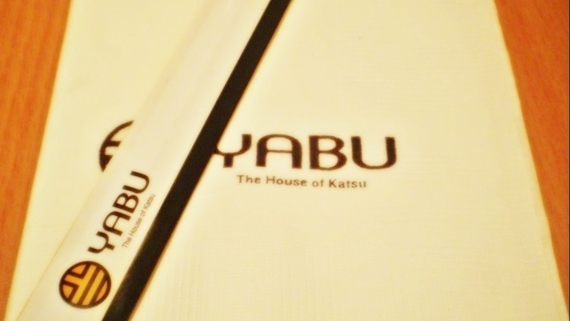 Unfortunately I've yet to try Yabu, shame on me! I'm a big fan of katsu stuff tho, and I really hope I can try this place soon!